The recent passage of cyclone Berguitta, last 16-18 January, had an unexpected impact on Azuri’s residents. As usual, the management and village staff worked to install barricades and safety measures to protect against the impending storm, and despite its last minute change of course (from crossing the north of the island to dropping south along Azuri’s east coast) everything went well thanks to the preparedness. It was the homeowners, spearheaded by Johan Le Bail and Isabelle, who instituted a Solidarity Network via the creation of an Azuri WhatsApp group connection. Baptised “Cyclone Berguitta”, members were able to maintain contact throughout the two days of class 3 alert: checking up on each other’s safety and whereabouts, helping to batten down doors and windows, clearing yards and moving outdoor furniture to safe ground (particularly for those not currently at the resort), and ensuring a general ambiance of security and calm for everyone. Although the cyclone posed no eventual danger to Azuri, after the class 3 warning was lifted the following day, the group received word that inhabitants of nearby Rivière du Rempart had suffered serious flooding as a result of the heavy rains that continued to ensue. 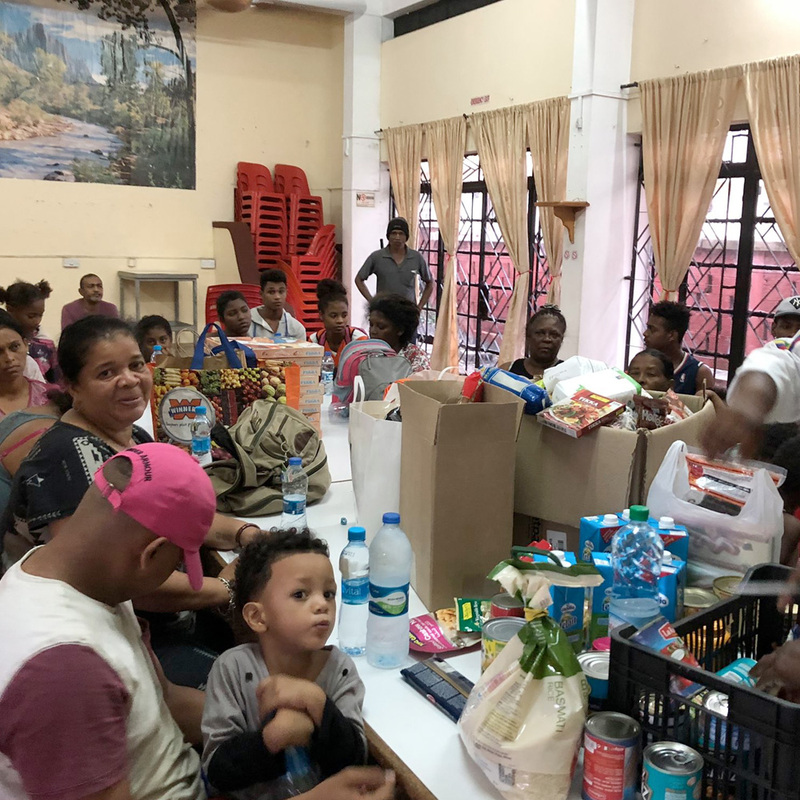 Group members pitched in, went shopping for food and provisions, and with the assistance of the hotel organised to take supplies to the town’s social welfare centre for distribution to persons in need. Azuri homeowners are keen to take this solidarity initiative further by assisting other communities around the island, and to counter balance each individual’s carbon footprint. Suggestions range from cleaning up lagoons and mangrove forests to assisting fishermen and agricultural workers in sensitisation programs for enhancing the environment. Bravo to Azuri residents, who once again, have shown the strength and resolve of community solidarity for concern of the individual and the community.